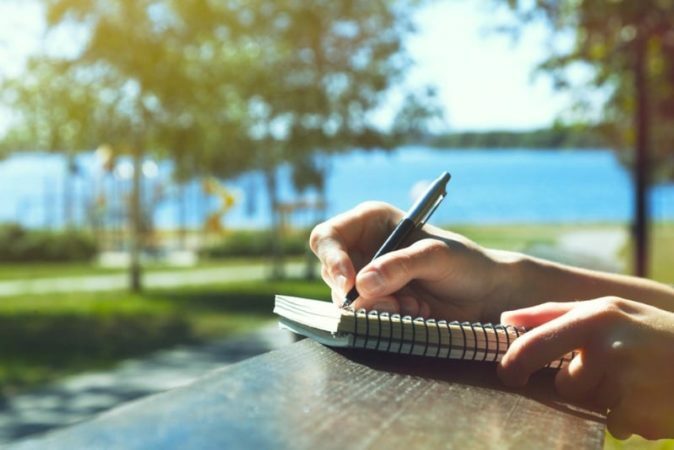 You know those wonderful, heartfelt letters that moms slip into their kid’s camp bags or leave in college dorm rooms, the ones with wisdom and love that make lifetime mementos? Yeah, well, I have never written one of those. Every time I hear of a wonderful parent who takes the time and care to compose such a missive to their college kid, I beat myself up for a few moments as a derelict parent. And then promise myself, next time. And as I am fairly certain in the rush to get my third son off to college I will once again fail to write that perfect letter, here is what I might have said, if I could get my act together. Sure, I expected you to go and, in turn, you expected nothing less from yourself. But this in no way takes away from the fact that spending four years learning, growing and focused almost exclusively on yourself is a gift like none other. Before you set foot on campus think through the sweep of human history and try to guess how many people were given this opportunity. Only after you have acknowledged just how rare and special this gift is, will I help move you into your dorm. You have heard adults say it a hundred times and it may be true, but it is not automatically so. Imbibe deeply of all that a University has to offer. Heap your plate with its academic, athletic, cultural and social offerings. Never again will life mix youth, freedom, opportunity and resources together in quite this heady combination. If these are to be the very best years, you must make them so. Everyone will want to meet you and there will be none of the social awkwardness that usually accompanies rushing up and speaking to total strangers. Do not squander this short window of opportunity, it will never come around again. You are now in a place where alcohol is both tacitly allowed and legally forbidden. The only thing that stands between you and a very bad experience is your own good judgment. But here is the tricky part. You need to exercise that good judgment at the very moment when it is already impaired by alcohol. You sat in the same classes or did the same activities as your high school friends. In college, maintaining friendships is a bit more work. After college it is a lot more work. Investing in friendships now pays dividends forever, truly forever. It is your good fortune to never have lived in a place where no one loved you or frankly cared a whit about you. At the outset, college is that place. Despite everyone’s outward cheer in the first weeks of college you will have no real friends. Sure you will know some kids, but these are not true friends, yet. They are still just acquaintances you really like. It is better to live amongst those you love, but it takes time and only you can make this happen. College gets better after that first Thanksgiving. When you look at me you probably see “Mom” and “Old.” Do not fool yourself. Not one fiber of my being has forgotten how it feels to be 18. If you have a problem, talk to me. Few things you will say will shock me and there is every chance, though admittedly just a chance, that I might have a good suggestion. And while the law may recognize you as an adult, I promise you that you still have much to learn. I have loved you every moment of your life. Even as you prepare to move out, I shock myself by loving you even more. This love comes without strings, but life does not. If there are things you want to achieve, knowledge you want to gain, friends you want to make it is now entirely up to you.